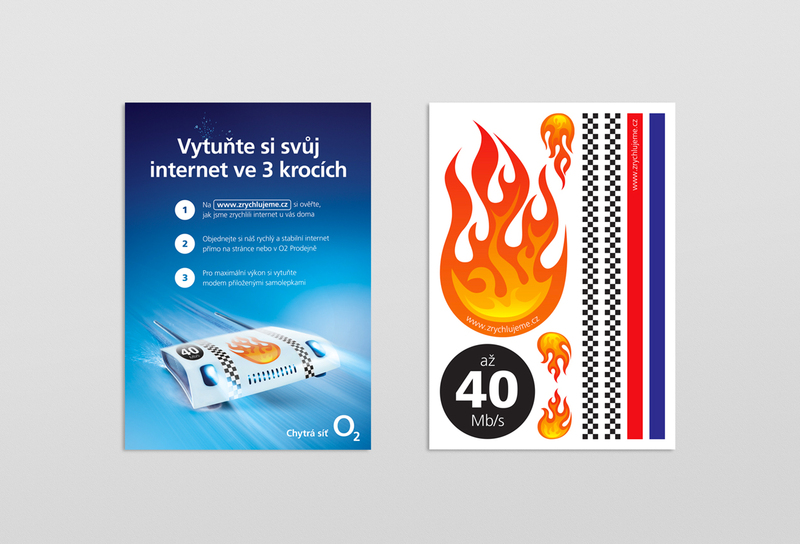 Key visual of a speeding modem for O2 Czech Republic. Project included a design of a poster and a flyer with a set of stickers on the backside. These stickes with some car race symbols were used to change customers‘ normal modems (symbolically) into faster ones.